If you walk into any store today, you’ll see a nearly endless variety of teeth whitening products on the shelves, ranging from toothpastes to whitening strips and beyond. While all of them might seem quite different, they have one distinct thing in common: they’re all long on promises and short on results. The truth is, anything you can buy yourself is not going to be strong enough to break up stubborn stains and make your teeth noticeably whiter. To get the results you really want, the kind that you and other people will actually notice, you need a professional strength treatment. 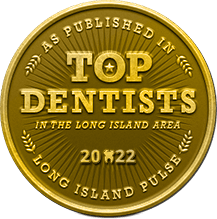 At Smile Creations, we’re able to offer our patients the best of everything when it comes to convenience and effectiveness with our custom-made teeth whitening kits. With one, you’ll be able to turn up the brightness on your smile by up to EIGHT shades while simply sitting and relaxing at home. 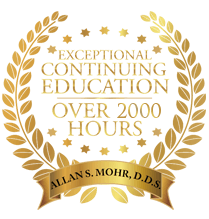 Why Choose Dr. Allan S. Mohr for Take-Home Whitening? The first thing that makes our whitening kits different from other generic treatments involves the bleaching gel we use, in that ours has a much higher concentration of the product that actually whitens your teeth, which is usually carbamide peroxide or hydrogen peroxide. Store bought treatments usually have a 20% concentration of these compounds, while ours starts at 40%. Of course, it’s also important to have something that will keep the gel on the teeth, which is why our kits include a custom-made set of mouth trays as well. These are specially formed using an impression of a patient’s teeth so they fit comfortably in the mouth and fully protect the bleaching gel from being exposed to saliva (which compromises its whitening ability). Most of the kits you’ll find in the store have one-size-fits all trays, which not only makes them uncomfortable for many people, but they typically don’t adequately protect the gel as well. Once a patient receives their kit from us, they simply need to wear their trays with the gel for about 30 minutes a day for up to two weeks to achieve complete results. Most see a difference after just one session, but trust us, you’ll want to use it for the full two weeks! Convenience : When you have one of our kits, you can choose to whiten whenever you want. Want to do it while you catch up on e-mails? Go right ahead. While binging your favorite show? Sure thing. Have a busy day and can’t do it till late? Not a problem. 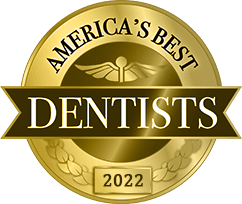 Guaranteed Results : Many patients who try our kits have already used other whitening methods with little success, but with ours, patients consistently see smiles that are six, seven, and even eight shades whiter. Easy Touch -Ups: Maintaining your newly white smile is nice and easy. Just use the kit from time to time whenever you need a boost! We even recommend our kits to patients who get one of our in-office whitening treatments to further improve their overall result. 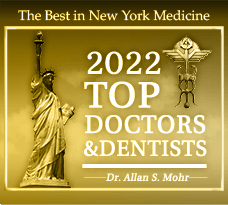 Dr. Allan Mohr has been creating beautiful, natural-looking smiles for decades, so if you’re ready to restore that youthful glow to your grin, he knows the perfect way to do it. Stop wasting time with underpowered and watered-down whitening products. Come get the solution you need to smile a little bigger and a little brighter here at Smile Creations with our take-home whitening treatment. To learn more and schedule an appointment, contact us today.